Part of our job, as leaders, is to inspire the people around us to step up, and go the extra mile. To accomplish this we must demonstrate best practice, by doing what we tell others to do. It doesn’t matter whether we are in a meeting with shareholders, talking to a client, or at a party on the weekend – we are always on stage. Our actions speak to our personal brand. When we clearly demonstrate our expectations through our actions our team understands what we want better, has more respect for us, and tends to be more productive. If we say and show that responding to customers is the top priority, for example, our team will understand they have to ensure that goal is met. If we, however, say the customer comes first but through our behaviour put another agenda first, the message we are sending is mixed. 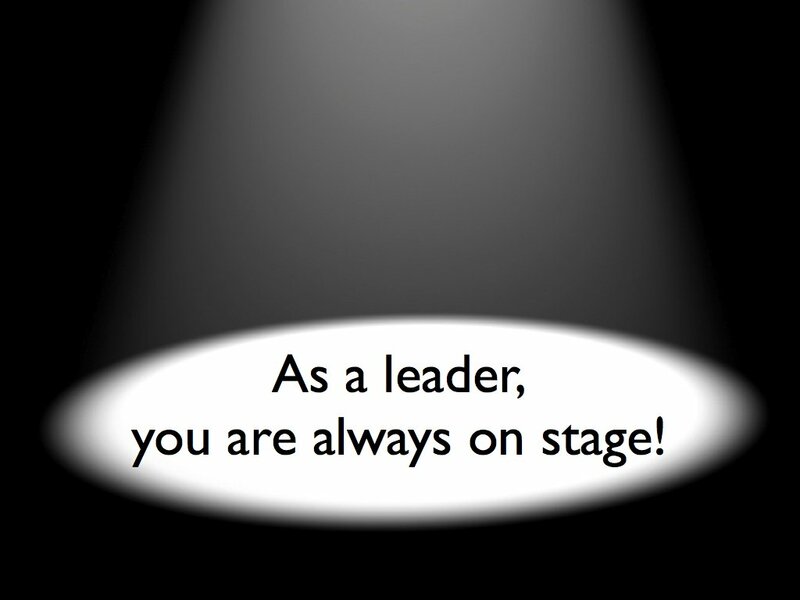 Leadership is not just about the time we are on stage in front of an audience, it is about how we live our lives as an example of our principles.